Is This ETF Home to Buffett's Next Target? The $28 billion purchase of ketchup king H.J. Heinz (NYSE: HNZ) by Warren Buffett's Berkshire Hathaway (NYSE: BRK-A) and Brazilian financier Jorge Paulo Lemann has had a predictable result. Traders and investors want to know who is next; what company will be Buffett's next elephant? Buffett has an enviable problem: Berkshire's cash hoard. Even after committing $12.1 billion for Heinz, Berkshire still has $15 billion left to go shopping with, and that number grows by the month according to Bloomberg. By his own admission, Buffett's thirst for big deals, or "elephants" as he calls them, is not quenched. That likely means traders and investors are already trying to figure out what company could be next on Berkshire's shopping list. As has been previously noted, ETFs ranging from the Market Vectors Coal ETF (NYSE: KOL) to the Industrial Select Sector SPDR (NYSE: XLI) are home to some potential Berkshire targets. Following the Heinz deal, another ETF has jumped to the forefront of the Berkshire deal speculation conversation. That ETF is the PowerShares Dynamic Food & Beverage Portfolio (NYSE: PBJ). Shares of PBJ, which is home to almost $111 million in assets under management, have jumped 2.2 percent in the past week and are now trading at an all-time high. The ETF's recent bullishness is due in large part to the Heinz deal because that stock is is PBJ's largest holding, accounting for 5.7 percent of the fund's weight. To be fair, some of PBJ's recent upside has come by way of Constellation Brands (NYSE: STZ), another top-10 holding in the ETF, making a deal with AnheuserBusch InBev (NYSE: BUD) that gives the former rights to sell Corona and other Grupo Modelo beer labels in the U.S. Still, near-term ebullience pertaining to PBJ is likely to be fueled by speculation that the ETF is home to another Buffett acquisition candidate. Including Heinz, PBJ is home to 30 stocks. Of the remaining 29 stocks, eliminating unlikely Berkshire targets is not difficult. PepsiCo (NYSE: PEP) is too big and Berkshire already owns a massive equity position in Coca-Cola (NYSE: KO). Likewise, Berkshire already owns a position in Kraft (NASDAQ: KRFT) and Buffett previously voiced displeasure with that company's management team regarding the Cadbury acquisition. Monsanto (NYSE: MON), PBJ's second-largest holding, would probably require a price tag north of $60 billion, more than Buffet might be willing to spend. Additionally, several other PBJ constituents, including the ETF's three discretionary names, really do not fit the bill as Buffett stocks, either for equity ownership or outright purchase. Add those three to Heinz, Kraft, Monsanto and Pepsi, subtract from 30 and there are still 23 PBJ holdings from which Buffett could pick. At least two remaining PBJ holdings could be deemed "legitimate" Buffet targets and two others would not be stretches. The legitimate contenders are General Mills (NYSE: GIS) and Hershey (NYSE: HSY). 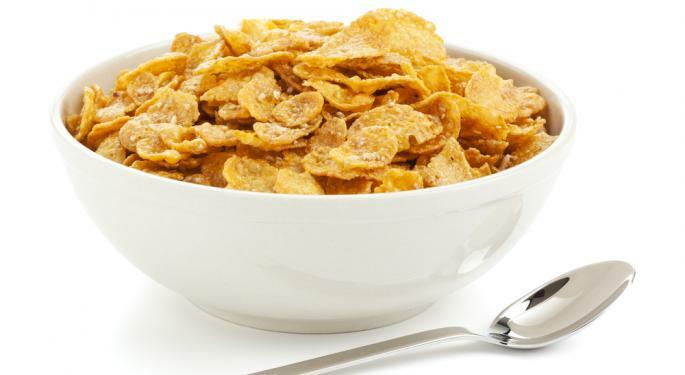 Shares of Cheerios maker General Mills have surged almost six percent in the past week, an uncommon move for a stock with a beta of just 0.16 against the S&P 500, on speculation the food giant could be attractive to Buffett. Bloomberg reported as much, noting acquiring Minnesota-based General Mills would be on par with the deal for railroad operator as Berkshire's biggest purchase. Hershey makes sense as well. Berkshire already owns See's Candies and in 2008, Buffett's firm partnered with Mars on a $23 billion deal for gum maker Wm Wrigley Jr. The issue with Hershey is whether or not the Hershey Trust, which controls the majority of voting shares, would be willing to sell anyone, even Buffett. 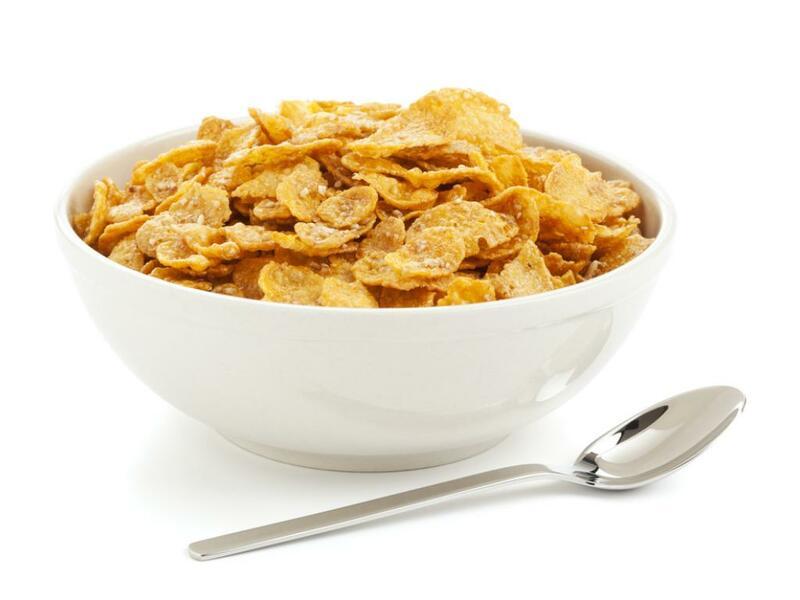 In addition to General Mills and Hershey, Kellogg (NYSE: K) and J.M. Smucker (NYSE: SJM) offer the types of brands and operate in the prosaic businesses that are often attractive to Buffett. However, it must be noted Kellogg and Smucker would be the two PBJ holdings that fall into the "stretch" category of possible Berkshire buys. Combined, those stocks represent about 7.6 percent of the ETF's weight. More importantly, Hershey and General Mills are PBJ's third- and fourth-largest holdings, respectively, combing for 10.1 percent of the ETF's weight. That says as long as Berkshire deal-making rumors remain prevalent in the marketplace, PBJ could keep moving higher.